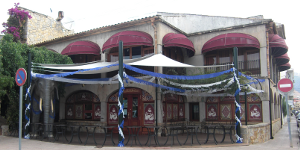 Puerto Pollensa has a wide variety of bars, cafes and restaurants. Along the boulevard and around the main square you will find all kind of restaurants. We are in Spains o you should try a typical paella and some delicious tapas! There are many good places where they serve tapas in Puerto Pollensa, some of them are very Spanish decorated which makes your evening out complete! There are many lovely bars, cafes and restaurants beautifully located along the boulevard, so you don´t get just to enjoy good food but also a spectacular view and sea breeze. On both sides of the port along the boulevard you will find many bars, cafes and restaurants where you will find something for everyone! Walk along the main road and go for lovely tapas in a Spanish atmosphere to restaurant Simbad, where they have a huge variety of tapas.The gentlemen should be careful with the crazy Maria, she is one of the owners and works in the restaurant. She is very funny and loves to have a joke! Walk a little bit further and you will find pizzeria/restaurant Tolo´s, the pizzas are very tempting and also they serve good fish in combination with a nice pasta. Do you feel like having a pizza in your apartment or villa? They do take away as well. Next to your No Frills Excursion Office you will find restaurant Miguelón, where you can try a typical Mallorcan dish which is a Pa amb oli. A bread soaked in olive oil topped with tomato, cheese and if you like meat. Also for fresh fish you are here at the right place! For an ordinary but very tasteful Kebab go to the bar at the other side of you No Frills Excursion Office along the boulevard in Puerto Pollensa. At the other site of the boulevard, direction Pinewalk you will find more restaurants. Some restaurants are part of hotel which are located over there, but feel free to check out their menus. A few restaurants are having a terrace located in the sea, like a small island it is which gives a romantic touch to the evening. Nice to know for couples! Again, tapas and paellas are available at many places. A nice restaurant specialized in tapas is Tapas y Punto. In the mood for a steakhouse? No problem! 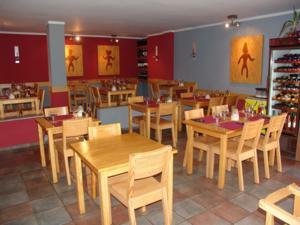 Around the mainsquareofPuerto Pollensayou will be able to get a delicious steak! Restaurant Makassar is not just a restaurant, enjoy their glorious cocktails in their chill out lounge as well. Do you feel like dancing? Puerto Pollensa does not offer a huge nightlife, but close to the main square you will find a nice place to make some moves. A great dinner you will have in restaurant Stay, this restaurant does not only serves lovely food, the service is also excellent and the location is just very chic. Located in thePortofPuerto Pollensanext to the sea, with palm trees on the terrace. Here you have a beautiful view of theBayofPollensaand all the boats around. You can dream away about an amazing boattrip, and where do you get your tickets? Exactly! In your No Frills Office, where else? There are so many more restaurants to go, and don´t forget the famous Ruta del Tapeo! Every Thursday you can get a tapa and glass of wine for only €1,50 inseveral bars. And not just in Puerto Pollensa you can have a fantastic evening, No Frills Excursions offers so much more for a great night out! 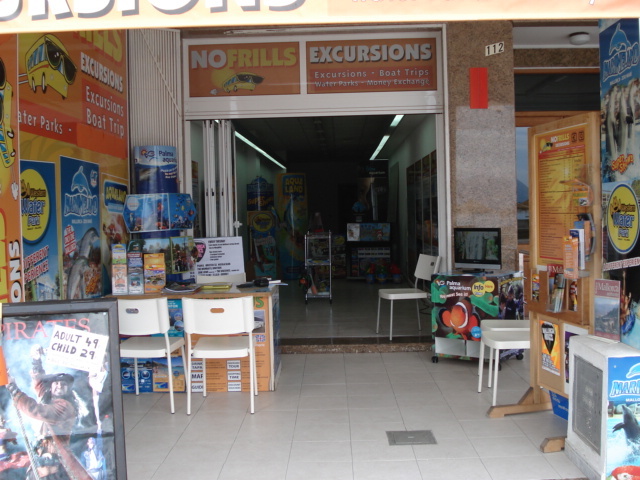 Please, visit your No Frills Excursions Office for more information about the best places to have a dinner, evening excursions and much more! Why not pay us a visit? !